Welcome to Mountain Shadows Resort, centrally located in the heart of Gatlinburg, Tennessee. 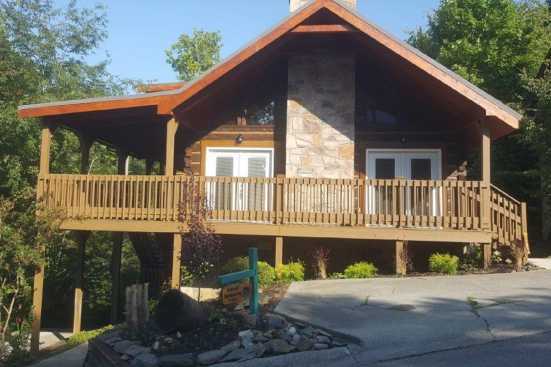 This is a beautiful log cabin rental community, which is nestled on 65-secluded acres within the city limits of Gatlinburg. You will have the best of both worlds while staying at the Mountain Shadows Resort, as your cabin will only be 3 miles from downtown and the Great Smoky Mountains National Park is just across the street. There are two entrances to the park on the resorts left & right. Enjoy incredible scenery and easy access to attractions, activities, and dining! The Mountain Shadows Resort was developed in the perfect location, allowing you to relax & enjoy the amazing scenery from your cabin rental. When it's time to enjoy local activities and attractions, you will be just a short drive away. The list of things-to-do is endless, during your Smoky Mountains Vacation. Book Mountain Shadow Resort Cabins directly with SMBYO.com. Each listing will contain an email owner button and a phone number for you to contact the owner. Booking directly with the owner assures you getting the best deal on your Smoky Mountain vacation.